The usage could not be easier: You like the settings of the current folder and want to preserve them? Simply press the F-button! Back to default settings? Simply press the F-button again! 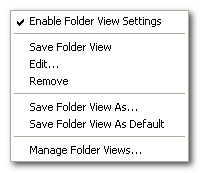 Alternatively go by menu "Folder View Settings" (located under View), which is also available as the toolbar button's context menu. 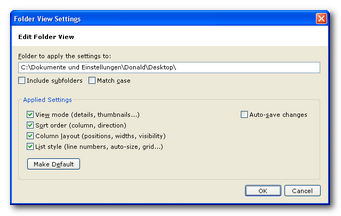 Via the above menu you reach the Edit dialog that allows for a number of interesting refinements. This page has been written 2008-08-15. The screenshots don’t reflect the current look of the application. 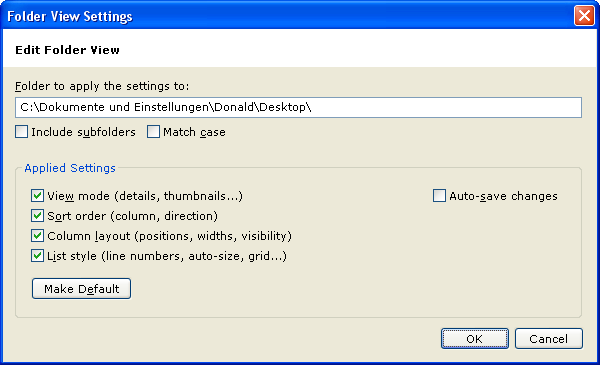 Some of the functionality might have been changed or enhanced in the current version.